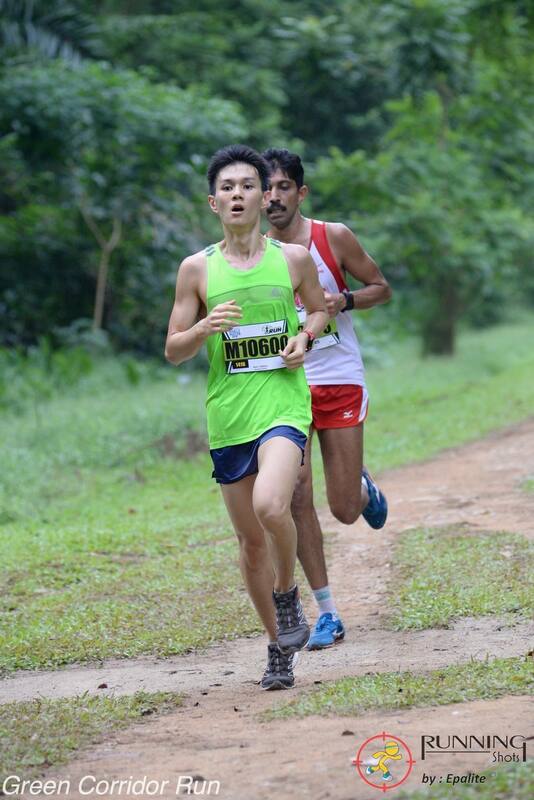 Race Review: Green Corridor Run 2016 [10.5km] (by Moses) | JustRunLah! It’s been a good few months since I’ve signed up for a race after a painful period of non-recovery from injury. The decision to participate came after a miraculous recovery and subsequently an invitation from a friend to participate in the team challenge. Less commonly do we find a race which is has a different start and finish point. 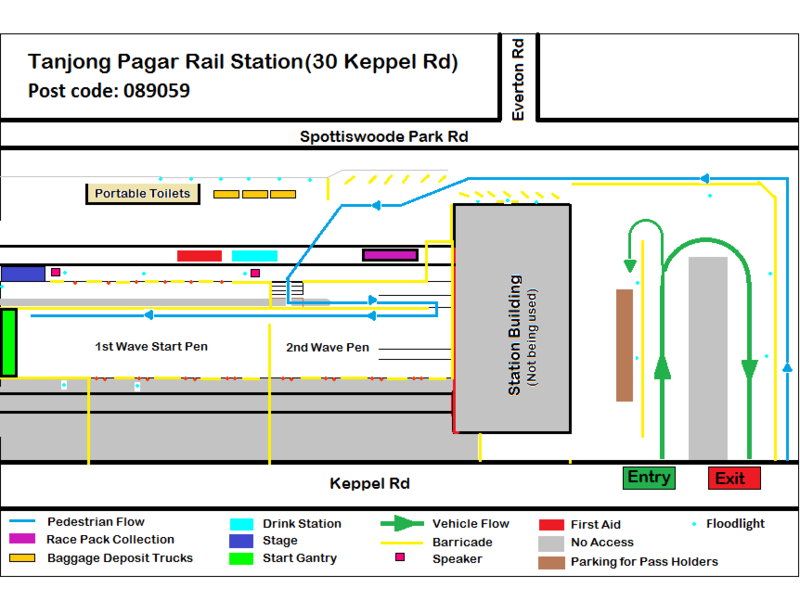 This point to point race began at Tanjong Pagar Rail Station, before finally concluding at the old Bukit Timah Rail Station. Having met up with my team at Tanjong Pagar MRT, we took a 10 minute walk over to the start line. There were multiple trucks available for baggage deposit, making it highly efficient. In addition, there were tonnes of portable toilets available with hardly any queues. 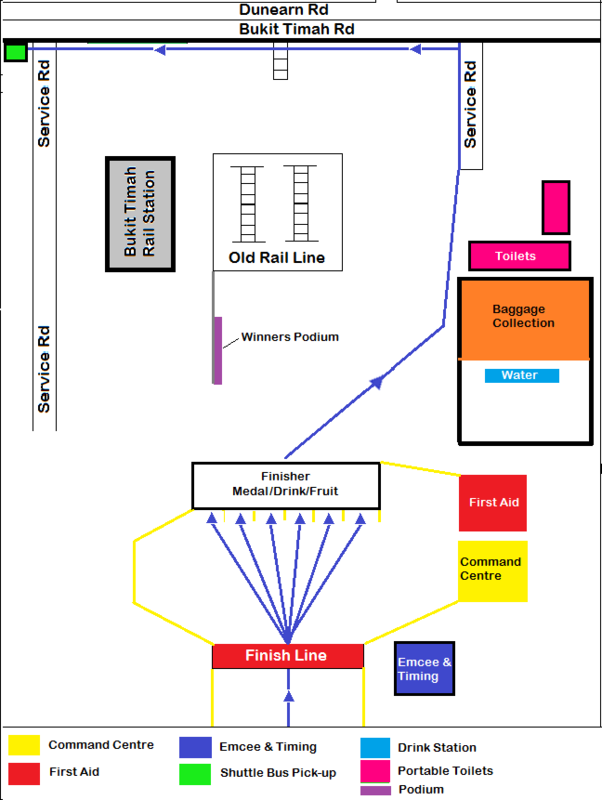 The Start Layout. 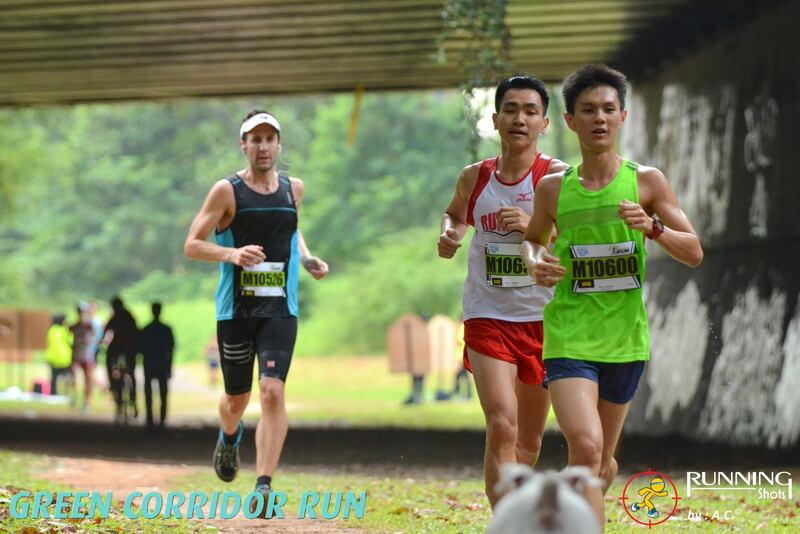 Credit to Green Corridor Run’s Webpage. 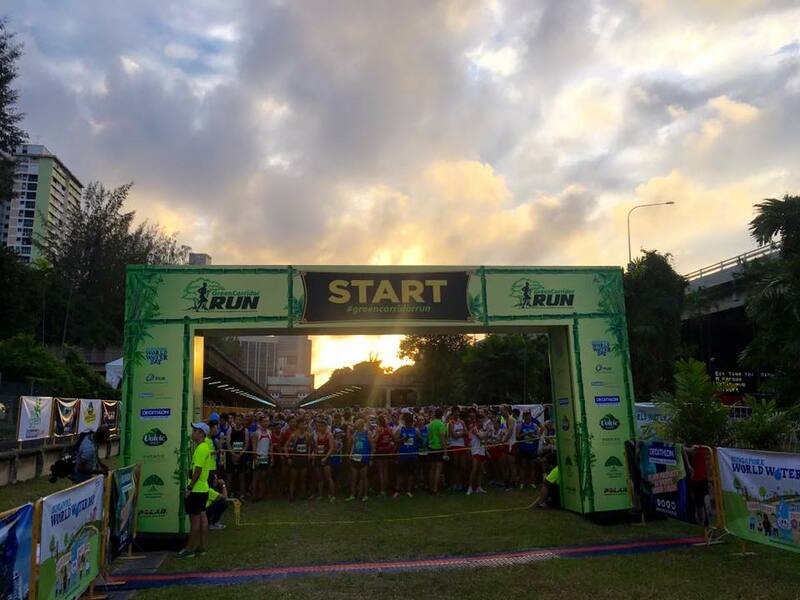 The unfortunate aspect about most races in Singapore is that there aren’t race pens for runners to segregate themselves according to expected finishing time. Therefore, this meant that eager runners keen to position themselves appropriately often had to arrive significantly earlier than the flag-off time. I would commend the race organisers in allowing runners to select their approximate finishing times and thus be segregated into various waves, thus minimising congestion and improving safety. As my team was hoping to place well in the Team Challenge, we opted for the 8.00am start (the first wave). At about 8.00am, we were flagged off. 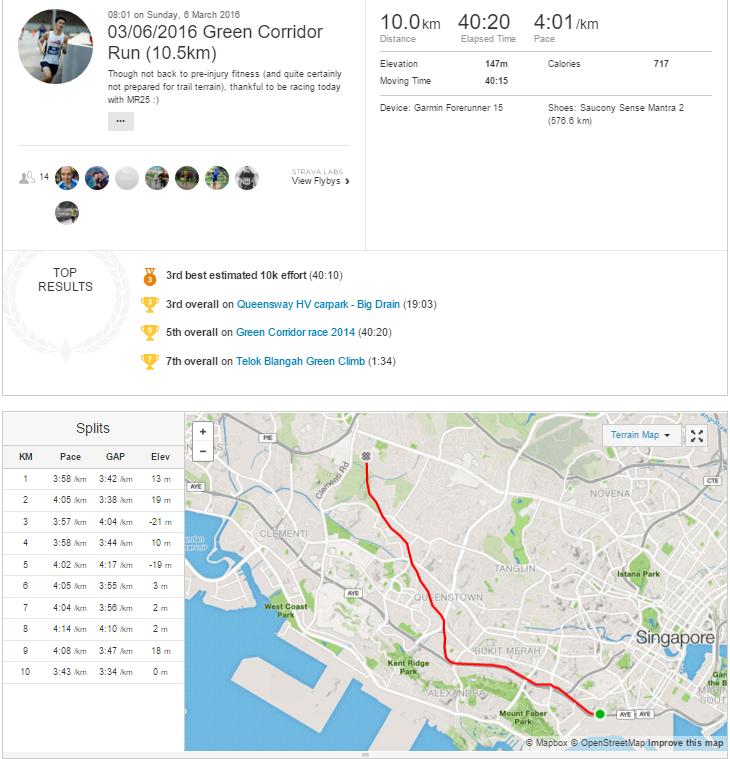 The race route took us all along the Green Corridor (as the race title suggests…). The route was largely flat, extending across grass, gravel and trail. There were some damp portions, though nothing particularly muddy. Though largely well lit (after all, the race begins well after the sun has risen), there were portions under expressways that could be deliberately lit to maximise safety on trail terrain. Hydration stations were situated 3.5km, 5km and 7.5km into the race. One of my qualms would be that there was no isotonic hydration available, let alone chilled hydration. Yep, plain, lukewarm water was all that was available. Distance markers were religiously placed every 500m (if I recall), thus helping runners to accurately keep track of their progress and pace themselves. One of the things I really liked was that as this was a popular race, photographers were everywhere! 🙂 Though a significant number were the official photographers (Marathon-Photos), there were many photographers that had made available their snapshots for free! 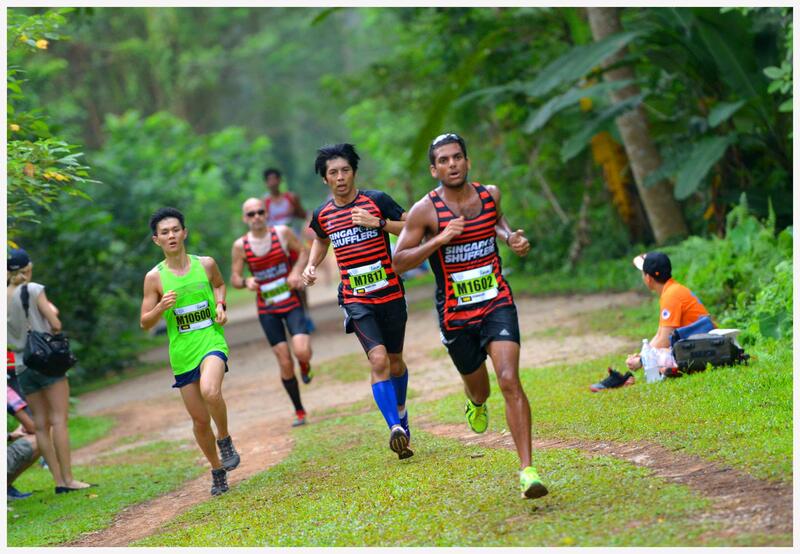 Big thank you to all of them including Running Shots, RecoveringAddict Runner, Pictureart, Trail Running Singapore and any others I may have missed! Just after the 7km~ hydration station. Credit to Running Shots. With about 500m~ to the finish. Credit to Running Shots. The final stretch. Credit to Pictureart. Participants were handed a bottle of Volvic mineral water and a Finisher’s Medal. Bananas, apples and cups of isotonic hydration were available as well. Baggage retrieval thereafter was sadly, less efficient that baggage deposit. The Finish. 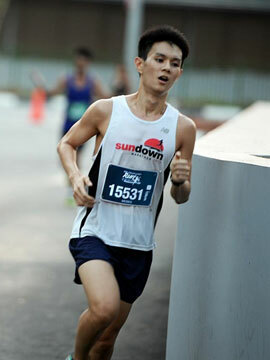 Credit to Green Corridor Run’s Webpage. Last but not least, Race Results were promptly released the day after the race! Cover Photo Credit: Green Corridor Run’s Facebook Page.